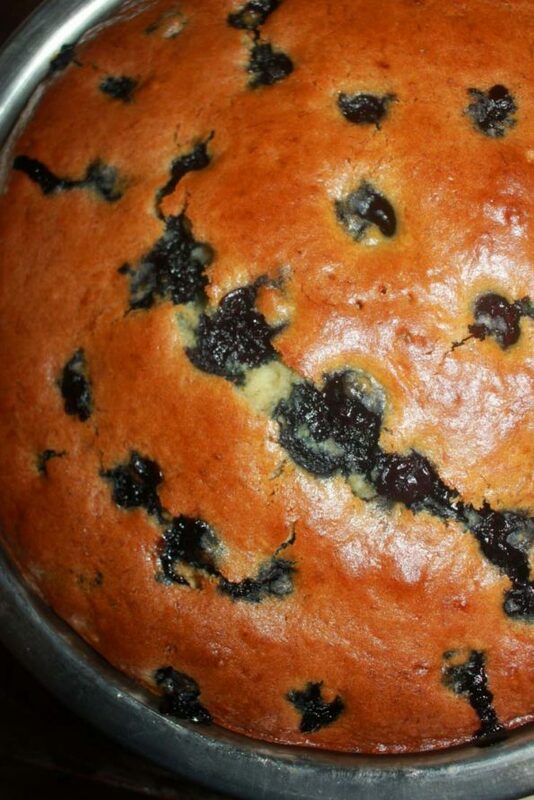 This blueberry banana cake without eggs is so delicious, easy to make and bursting with blueberry banana flavor. 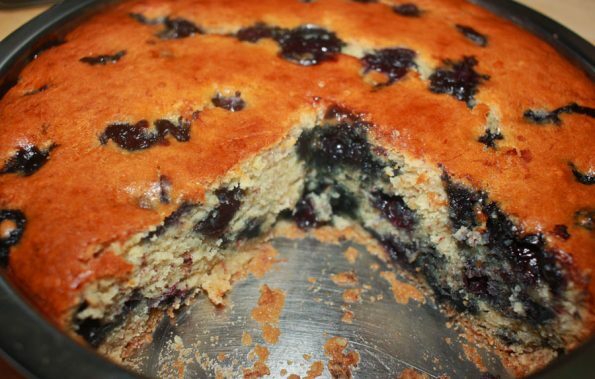 We use whole milk to prepare this blueberry banana cake which has a slightly longer baking time than this banana blueberry cake which uses eggs. 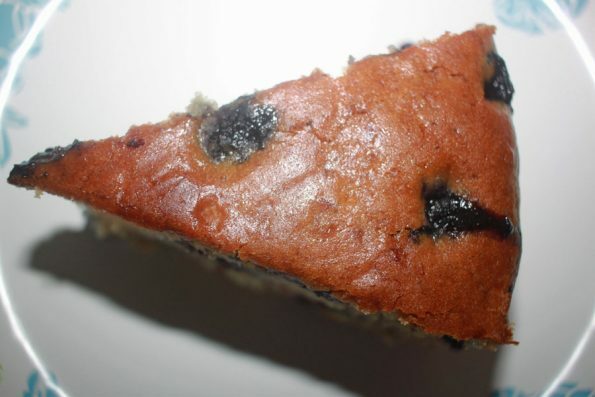 I also used slightly more blueberries in this blueberry banana cake as I wanted the cake to have more deliciousness from blueberries and as you can see from the pictures, the cake is bursting with blueberries. 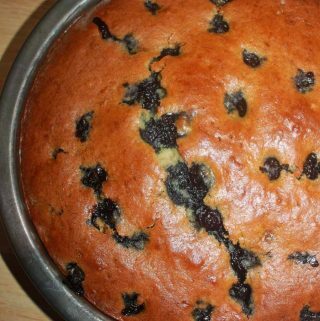 This blueberry banana cake is in fact filled with a lot of fresh blueberries, but you may reduce the amount of blueberries if you wish. The first time I used one cup of sugar as I used in the other blueberry banana cake recipe with eggs (which was enough for that recipe), however due to some reason I felt it is less sugar for this egg free version of the recipe, so I have slightly increased the amount of sugar (by an additional 1/2 cup) and it turned out delicious. 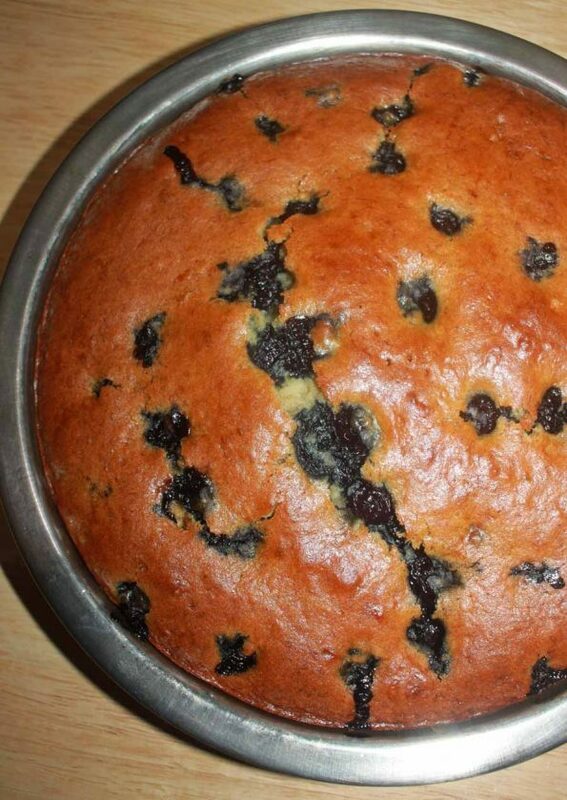 So here is how you can make this easy and delicious blueberry banana cake without eggs following this easy recipe for blueberry banana cake without eggs. 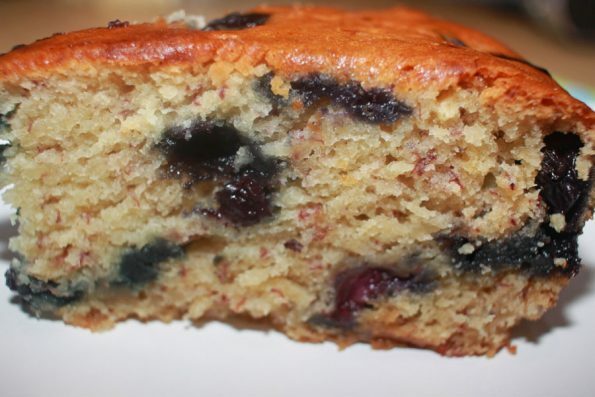 Other than the natural flavor from blueberries and bananas, we use vanilla extract to add more flavor to this delicious blueberry banana cake. 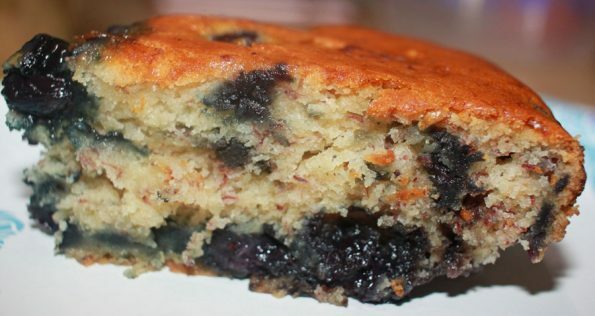 Easy eggless blueberry banana cake is made using fresh blueberries and ripe bananas which makes it a simple and delicious dessert filled with lots of fresh blueberries. In a large bowl, mix together the dry ingredients together until well combined - flour, baking powder and baking soda until well combined. Wash the blueberries very well, mix with the extra 2 tablespoons of sugar and keep aside. In a separate bowl, mash the bananas very well, add the softened butter and stir well until well combined. You can use a balloon whisk to make the mixing easier. Add the sugar to the banana butter mixture and mix well. Add the milk and vanilla essence also to the banana butter sugar mixture and stir well everything until all ingredients are well combined. Transfer the wet mixture to the dry flour mixture, mix well without any lumps, use a balloon whisk to stir if any lumps are formed. Finally add the blueberries to the mixture, gently stir in almost evenly. Bake in preheated oven for about 50 to 60 minutes or until a toothpick inserted at the center of the cake comes out clean. Mine took exactly 60 minutes to bake and I had to cover the top of the cake pan with an aluminium foil after baking for about 50 minutes of time since the top of the cake browned already. If the top of the cake browns enough before the inside is cooked completely, you can always cover the top of the pan with foil and bake for the remaining amount of time. Allow the cake to cool down, before you slice the serve the cake for a delicious dessert! 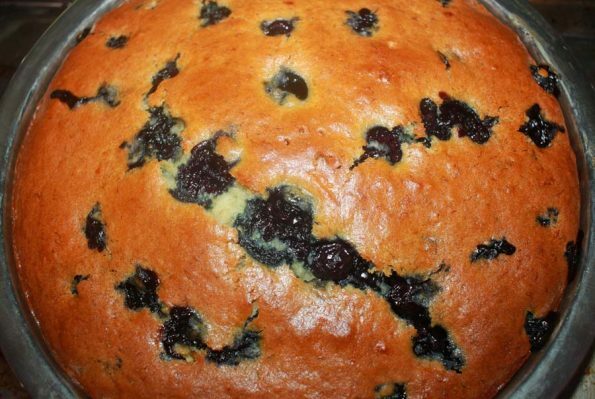 Hope you found this post on eggless blueberry banana cake recipe helpful in making easy and delicious blueberyy banana cake at home from scratch using fresh blueberries and ripe bananas.